November 29, 2015(Memphis, TN) The Church of God in Christ (COGIC) mourns the passing of Mother Ruth Mason Lewis, the daughter of COGIC founder Bishop Charles Harrison Mason. Mother Ruth Mason Lewis has died at the age of 95. 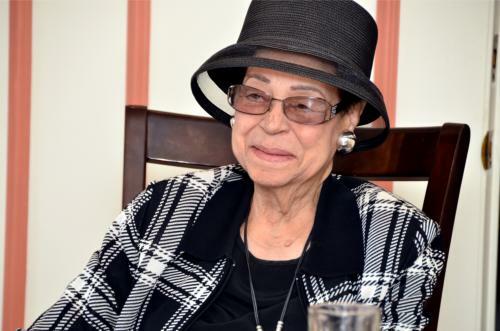 The last remaining daughter of COGIC founder Bishop Charles H. Mason, Mother Mason Lewis transitioned to Glory early Saturday morning, November 28, 2015. Born on September 16, 1920, Mother Mason Lewis was the youngest of six children, born to Bishop Charles Harrison and Lelia Washington Mason. In 1948, Ruth Mason married Robert S. Lewis, Jr., owner of the R.S. Lewis & Sons Funeral Home in Memphis, TN. Robert and Ruth were married 64 years and had two children. 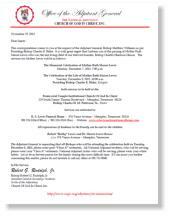 The funeral services will be Tuesday, December 8, 2015, 10am at the Pentecostal Temple COGIC, 229 South Danny Thomas Blvd., where Bishop Charles Harrison Mason Patterson, Sr. is pastor. Presiding Bishop Charles E. Blake, Sr. will deliver the eulogy. The Church of God in Christ is one of the oldest Pentecostal denominations in the World and the 4th largest Protestant group in the United States with churches in over 70 countries worldwide and a membership of nearly 6.5 Million adherents.